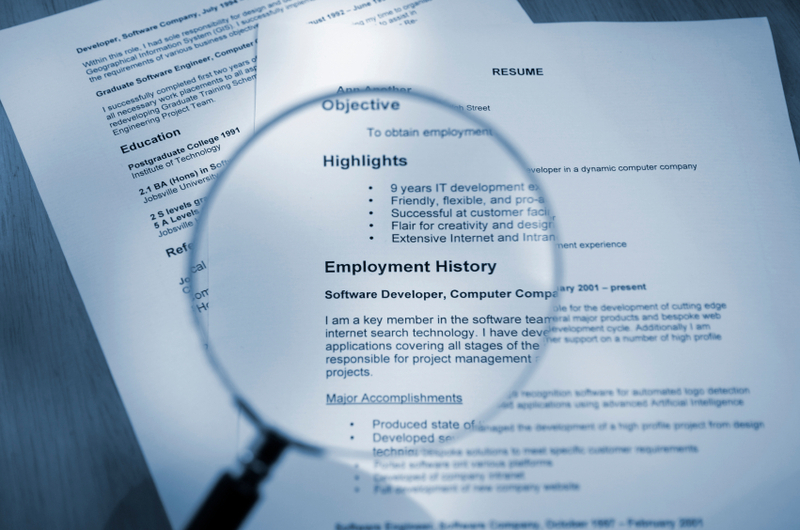 Never include references on your resume, whether personal or professional. Only provide references if it is requested of you. Including pictures, logos or graphics. It’s amazing what some people feel is appropriate to include on a resume. Graphics and logos should be left off as should pictures or head shots. Believe it or not, unless you are a model or an actor, if you include a picture on your resume, the potential employer is not allowed to store the resume on file for future consideration. The reason? Issues of racial or ethnic discrimination could be raised, amongst a host of other legal issues. Therefore, leave the picture off. Including personal social media accounts that draw attention to unprofessional behavior, risqué photos, controversial opinions, etc. I have started speaking about using social media in a job search and have referenced this particular topic in webinars. Ultimately, social media can be a great tool, especially if it provides continuity across platforms, meaning your paper resume and electronic networking resources, such as LinkedIn, are synched. However, it becomes an issue if the line is blurred between personal and professional. If you use Facebook or Twitter on a personal level, you should not only leave this off the header of your resume, but you should also be employing privacy settings so a potential employer cannot access this information prior to inviting you in for an interview. Social media is a great tool, but if used in the wrong way, can hurt you in a job search. Lack of accomplishments and measurable results. If your resume simply provides a laundry list of what you did on a daily basis for an organization without actually exhibiting how those responsibilities or actions positively impacted a company, your resume could need an overhaul. Ultimately, you need to show how you helped your employer, whether through revenue generating efforts, time saving methods, etc. There has to be a measureable result that gets a potential employer thinking about what you would bring to the table at their organization. Typos and other errors. Let’s just say if you spell the name of the company that you are applying to wrong or say that you are “deetail oriented” without employing the use of spell check, you probably won’t get called for an interview. Taking all of this into consideration, creating a resume that accurately highlights your background and effectively promotes you to a potential employer can feel like a daunting exercise. This is especially intimidating when the majority of HR officials report that they only spend approximately 30 seconds reviewing a resume before they decide if they are interested in the candidate or not. Therefore, if you are in the middle of a job search and are afraid to go it alone, reach out to the resume writing pros at www.grammarchic.net. My team can craft a document for you that is up-to-date with changing technology, while also proficiently highlighting your skills and background. The way I see it, your resume should sing your praises, and Grammar Chic, Inc. can ensure that your document hits all of the right notes.